LineageOS Features: Why you must install LineageOS! People have different reasons why they root their Android smartphones. For common users, it’s to avail some space or to get rid of annoying bloatware stuff. When you are a bit geek-minded, to tend to try new things with your devices like Rooting, which allows you to explore an all-new world of custom ROMs. As you know, there are a number of custom Android ROMs you can find; some offer customization while others are for productivity. But, LineageOS is undoubtedly one of the best custom Android ROMs you’d find. LineageOS has been there in industry for a long while. In the course of time, however, this Open Source OS has been able to expand the device support. As of now, you will find an official / unofficial LineageOS build for almost all popular devices. The OS is community-maintained, meaning that you won’t receive updates from the actual device manufacturer. So, as it seems, LineageOS is your way to get complete access to your Android smartphone. Of course, there are different perks of using LineageOS Custom ROM in your Android smartphone. In this article, we have listed the best features of LineageOS ROM and why you should try this open-source custom ROM. Shall we start? Everyone loves to have a customized version of Android experience. And, LineageOS ROM is one of the best option to customize your Android device from many aspects – including visual and productivity aspect. Talking of visual customizing, you can change the theme, adjust how the notification bar looks, rearrange the notification shade and do a lot of things. You can even change the homepage layout, to get your own version of Android interface. In its collection, LineageOS has a number of themes available; in fact, you can even purchase premium LineageOS themes. So, one you have installed CM in your device, customization is a sure-shot feature. Let that be your visual interface or apps, you can do that all. By default, LineageOS comes with Stock Android design philosophy, and you can shift to another design when you want that. In short, from almost all aspects, LineageOS is completely customizable. Yes, LineageOS if for your love to customize! 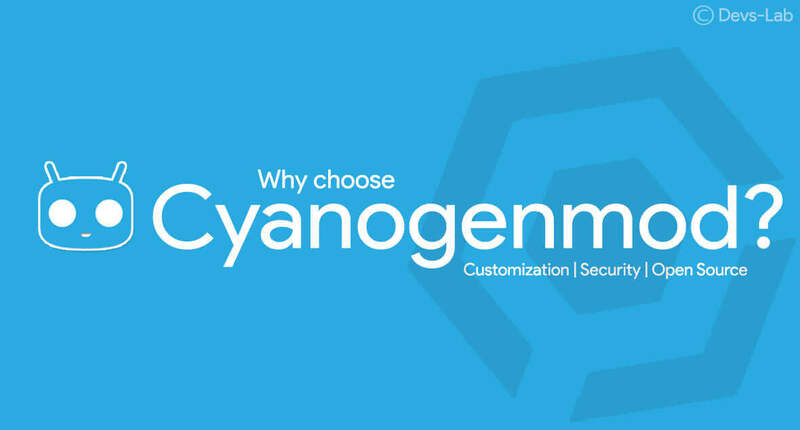 When compared to Stock Android or any other OEM-based ROMs, LineageOS is offering better privacy options as well. It’s a fact that we have individual permission support, starting from Android v6.0 Marshmallow. However, LineageOS has had this feature for a long time, allowing you to know how your device is being used by apps. It’s called Privacy Guard. Using this feature, you can find the permissions required by each app you have installed. The best part is, you can change the permissions if you think there’s something fishy. This is indeed an effective method to improve the privacy of Android experience. This Privacy Guard comes with in-built notification support as well. It means that you can adjust permissions according to instant requirements. For instance, if an app requires a particular permission for running, you will find a notification in the top and you can follow the steps. If you are running an older version of Android, this is a reason to install LineageOS ROM. After all, who doesn’t love better privacy options? One problem with OEM-based ROMs is the slower update cycles. It takes more than a few months to get Android updates even after official rollouts. With LineageOS, however, you don’t face this issue. When compared to the other ROMs, it has a quicker update cycle. Even if an official ROM is not available, you can get some unofficial ports. In other words, it offers plenty of methods to stay up-to-date with the OS releases. LineageOS ROMs are released quickly after the Stock Android releases. In those upgrades, CM Team tries to bring the good features without bloatware or other useless stuff. Recalling what we said, LineageOS is offering a pure Android experience with some advanced options. It’s up to you to use those advanced options; otherwise, you can enjoy the cool stock Android experience all the way. For those who love to have updated OS and features, this is a reason to install LineageOS ROM. We hope you know the difference between Protection and Privacy. Well, LineageOS is offering a bunch of advanced options in terms of device privacy as well. For instance, we take the case of Lock Screen Customization. Instead of using the three-row three-column PIN pattern, you can choose something better. Let that be 5 grids or 6 grids, CM has an option to do that. If you are looking for a better-level protection of device, this Lock Screen feature will surely help you. Next, there is PIN Scramble. This is available when you have chosen a PIN for unlocking the device. Instead of showing the numbers in numerical order, they are scrambled across the grid. This layout will change every time you try to unlock the phone. So, one cannot guess the PIN by observing your hand movements. If you are a fan of better security, this is surely a worthwhile feature. It’s good to have another protective layer, don’t you think? These three features are for those who love cool features. For music lovers, AudioFX is a reason to install LineageOS ROM in the device. This works as an additional equalizer for your device. You can choose the ambience, amount of bass you need and customize more if you know. Depending upon what you are playing, you can fine-tune the audio experience. At the end, it’s surely better. Quick Boot is a cool feature for common users. Instead of going through the entire rebooting process, Quick Boot gives an impressive shortcut by restarting the device in 3 or 4 seconds. Using this feature, you can cut down the boot-up time drastically. The working principle is somewhat related to the Hibernation process in Windows. That having said, you may not find this feature in all devices — your device hardware also matters. Then, there’s the integration with Superuser control. As you know, your device needs to be rooted if you are going to get LineageOS installed. There might be some apps that try to get root access in the device, and Superuser is a way to get control over it. In LineageOS, there is a specific feature for managing Superuser access. That is, you will be notified if an app requests root access. Alternatively, you can set up your own preferences too. It’s a good thing at the end. Everyone loves to have better battery life for their devices! With OEM ROMs, however, it’s still a distant dream. Even as manufacturers pack bigger batteries with the device, they cannot focus on the software side of it. Due to several reasons, LineageOS ROM offers a better level of battery life in almost all devices. The main reason is that the ROM does not come with any bloatware. There are no background-running apps or unnecessary services; it means that battery will be used only when it’s required. In addition, LineageOS comes with in-built Battery Modes as well. Depending on the performance requirement, you’d pick one from the list. For instance, with the Power Saver mode, you can put the device in standby for a few DAYS. Yes, it’s right what you heard. In short, when compared, installing LineageOS will surely release some battery backup for your devices. Even without the Doze Mode, the overnight drain and other battery-draining aspects are lower in CM. It’s more backup time, folks. WhisperPush is a truly encrypted messaging service that LineageOS has. Without being prey to surveillance of NSA, you can send messages securely. In most devices, you can get smaller tweaks such as Double-tap to Sleep and Gesture support. These interface tweaks are just awesome for advanced users out there. LineageOS has had in-built support for Native Call-Blocking and Flagging. Instead of relying on third-party tools for blocking call, you can do that right away from your Dialler. This is indeed a productive feature for most of us. The Community Support from LineageOS ROM is something amazing. You can find answers for almost all the doubts you have — let that be some tweaks or customization options. On top of all these, LineageOS promises better performance. You can get the best output from your existing hardware, especially when compared to the OEM-based ROM you’ve been using. So, these are the promising reasons why you should install LineageOS in your Android Smartphone or tablet PC. As we said, you can find official or unofficial builds of LineageOS from the site. And, what’s more, if you are running a high-end device, you can try the LineageOS Installer as well. So, it does not matter the method you follow, LineageOS ROM will always have something special for your Android experience. Have you used this ROM, let us know? Swaraj Nandedkar is a Blogger from 3 years. He is working as the Content Marketing Manager at Techlila.com . He loves to Play Games and get high on Adrenaline Rush.